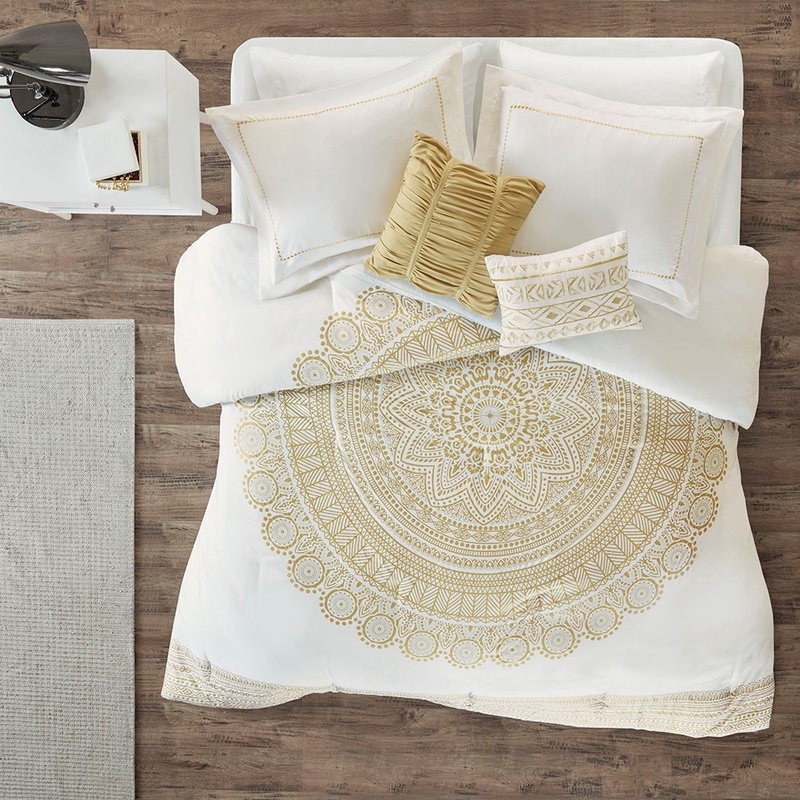 A 5 pieces bedding set that really takes you on a ride! 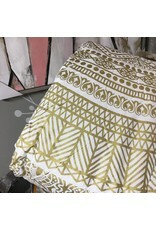 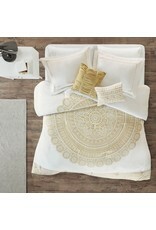 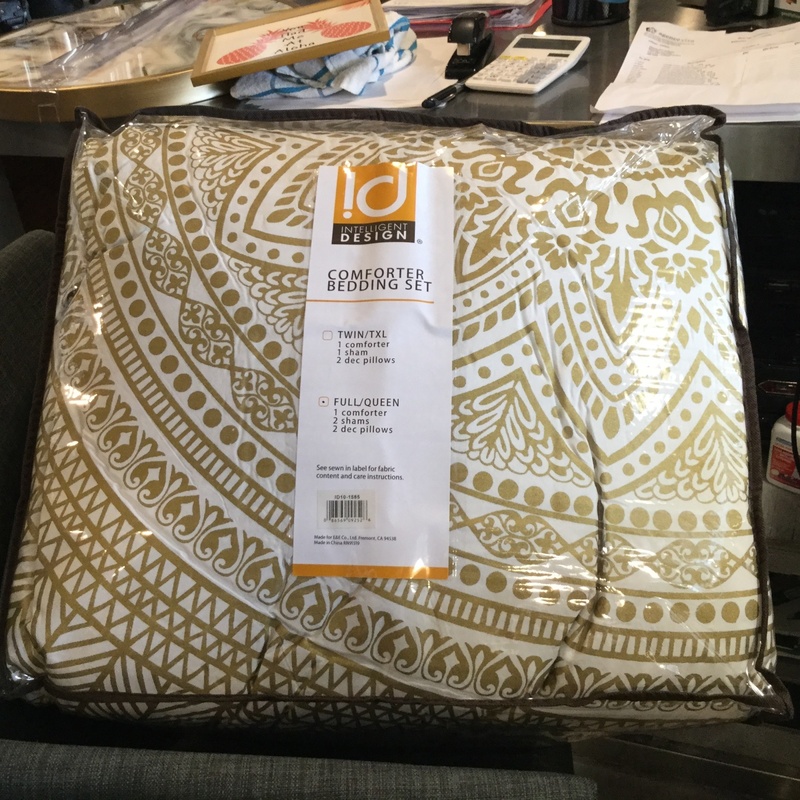 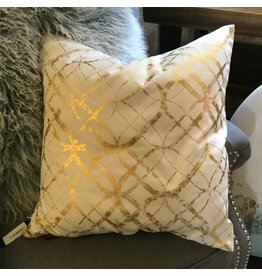 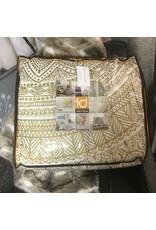 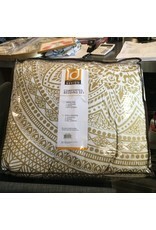 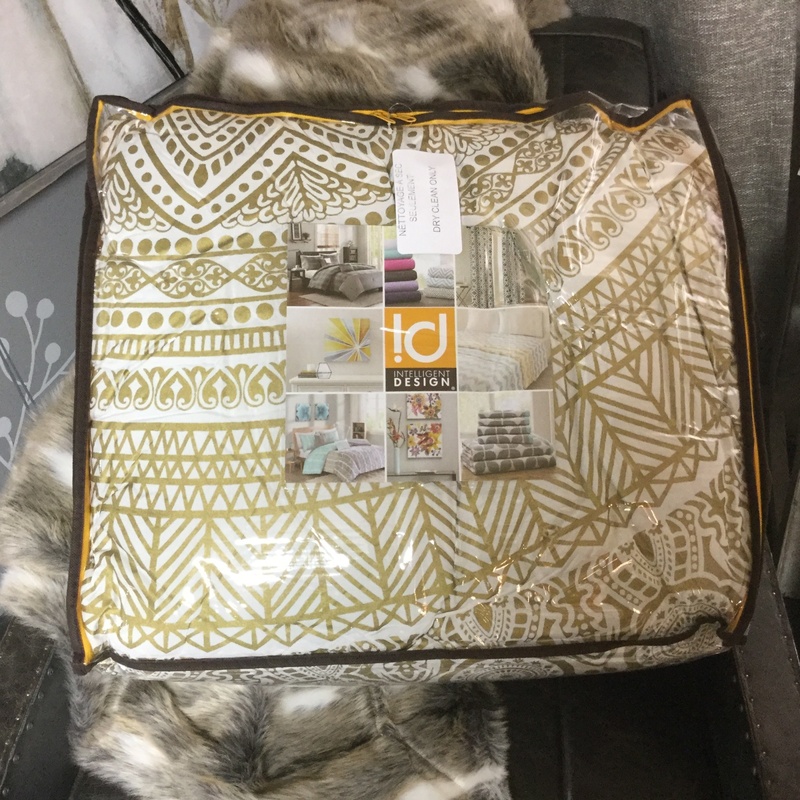 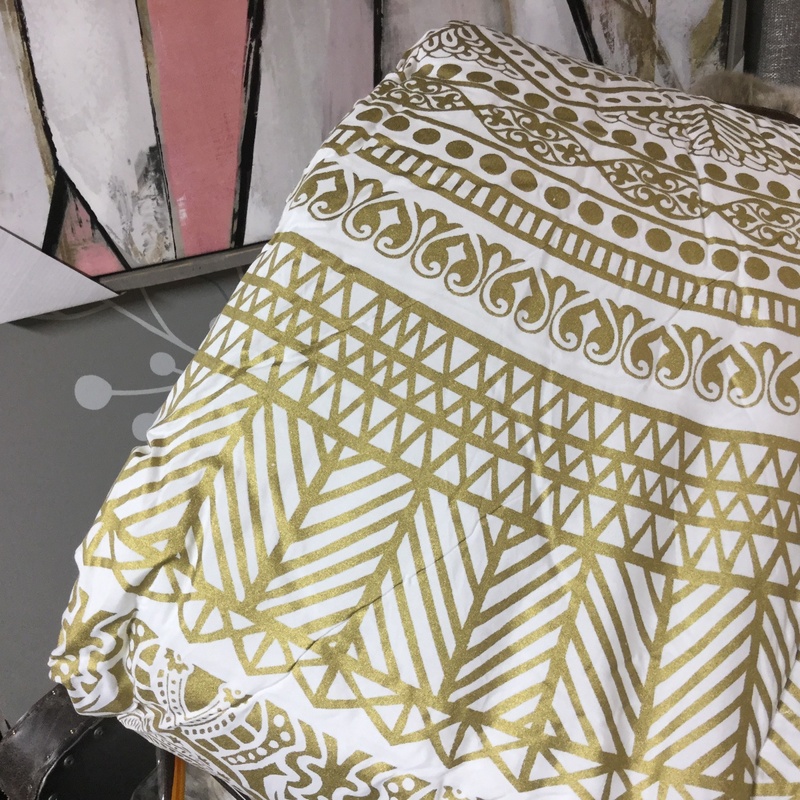 The metallic gold print mandala pattern ornates the center of a soft and comfortable white comforter. 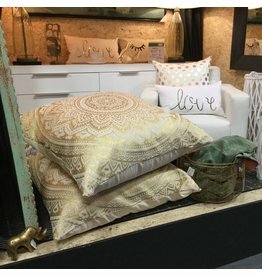 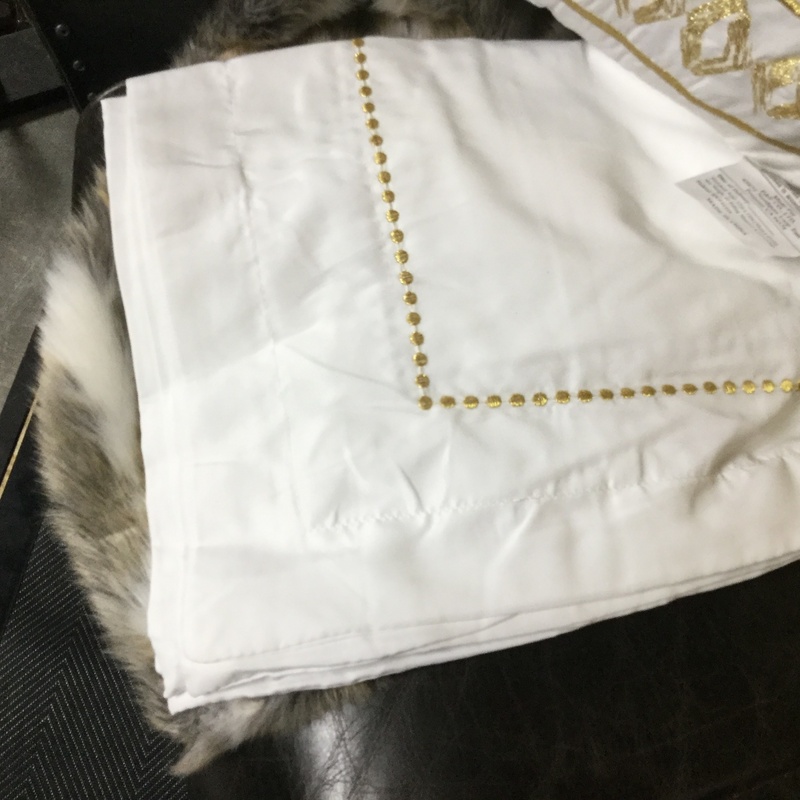 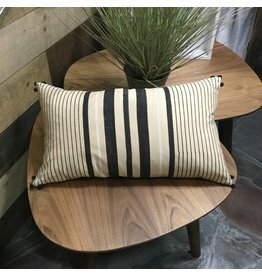 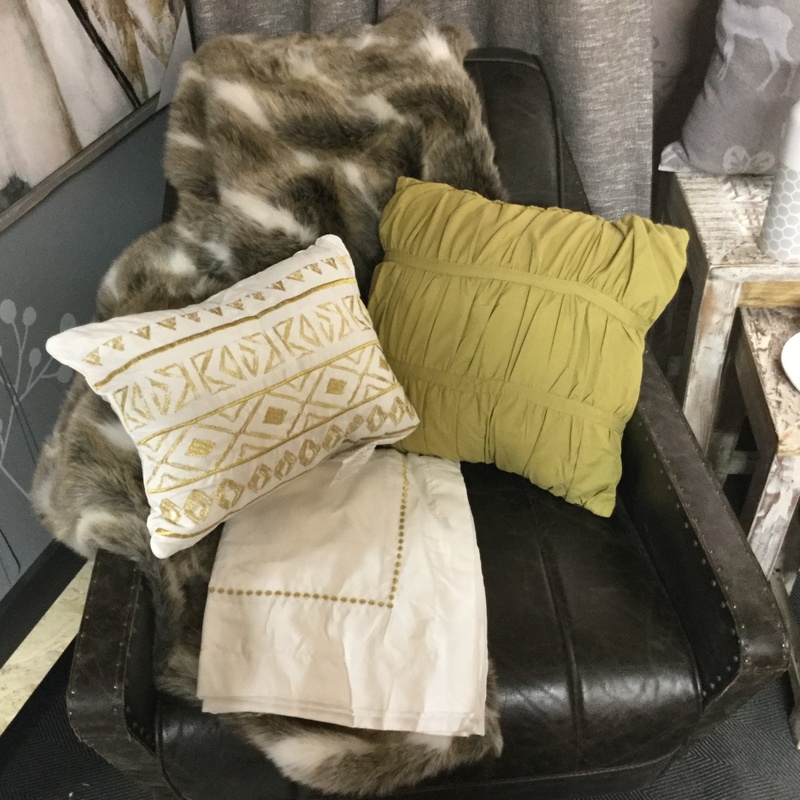 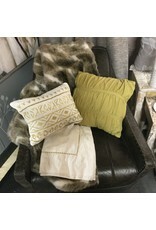 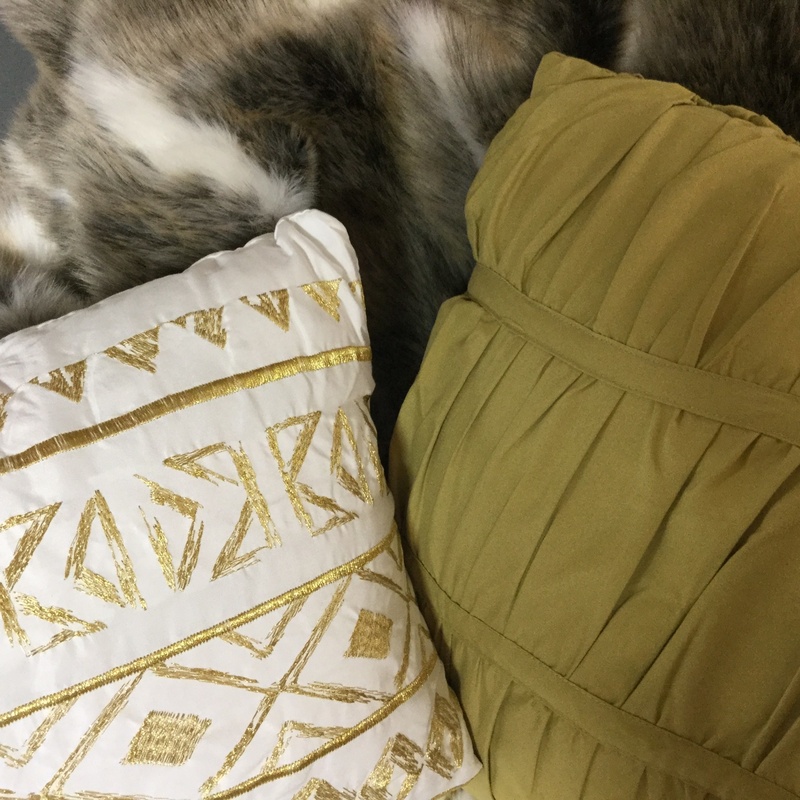 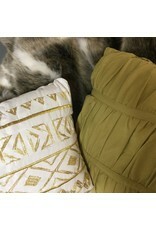 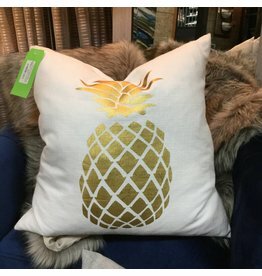 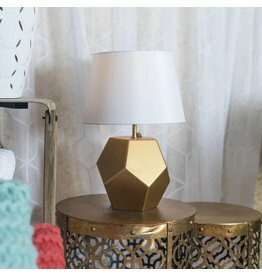 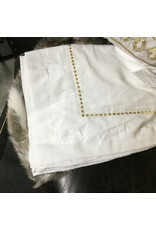 The set includes the comforter, the two shams and the two different decorative cushions.